NASA’s Curiosity rover has been slowly traveling across Mars since last August, and it has told us more about the Red Planet in that time than we’ve ever known about it before. It confirmed the former existence of water on the surface for one thing, and while that’s the kind of discovery most humans would hang their hat on and retire, Curiosity has a long way to go before it’s finished blowing our minds. A large group of research papers, the second of its kind, were published recently, offering more insight into the world that Mars used to be and its similarities to Earth. Plus, you know, it found a frigging lake. Okay, so it actually found the spot where a lake once existed, near the lowest part of the Gale Crater which Curiosity has called home. Seen in the mock-up image above, the lake was around 40 or so kilometers long and possibly 15-20 kilometers at its widest spot. The rover captured photos of the rocks as it went down into the lake bed and drilled a couple of holes for sampling. These samples offered scientists proof that the lake indeed existed and that its waters contained a relatively neutral pH and low levels of salinity, which is comparable to waters here on Earth. While remote-controlled robots are awesome and can do loads of tasks that are too difficult and dangerous for humans, there’s still the problem of time delay. The further away the robot, the longer the lag, which means that space rovers are affected most of all. By the time a warning message travels through space, one of our precious rovers could conceivably be at the bottom of a crater or a probe might be nestled in the arms of an alien (okay, that would be pretty cool). To address these concerns, the good folks at NASA’s Jet Propulsion Laboratory have been working on a predictive system that will make robot space exploration faster and safer. 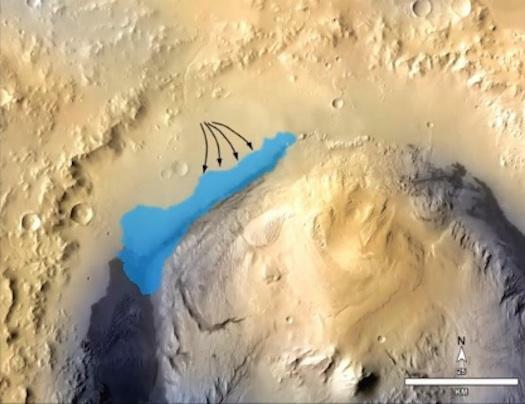 Martian Soil Is Full Of Water. Seriously. Future colonists and tourists on Mars probably don’t need to worry about bringing their swimsuits and inflatable floats, but a series of recently published NASA papers offer evidence that not only did the Red Planet have water on it in the past, but it’s currently harboring tons of it. This is one of the more amazing things I’ve ever been able say to more than one person at a time. This isn’t like, “Hey dude, I just got pulled over for speeding but the cop let me off with a warning.” This is, “Hey guys, we are now pretty certain that there is enough water on Mars to make human habitation there a lot more tangible.” Complications exist, of course, but we’ll get to that. 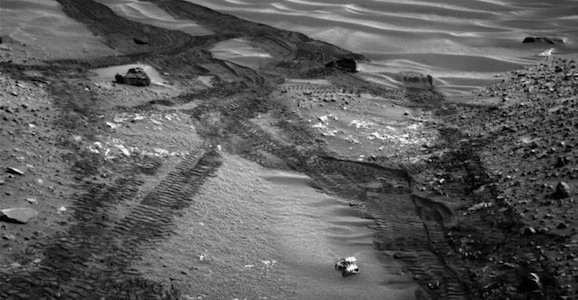 The papers encompass much of what the Curiosity team has learned from the rover’s first hundred days on Mars. The study’s lead author Laurie Leshin, of the Rensselaer Polytechnic Institute of New York, and her colleagues were looking over the results of soil analysis from samples retrieved back in November 2012. 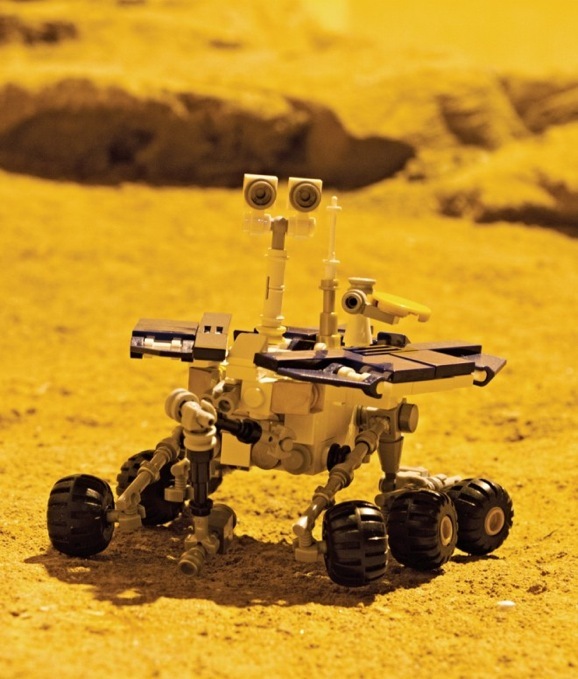 The rover used SAM, the Sample Analysis at Mars instrument, to crank up the heat to 1,535 degrees Fahrenheit and identify all of the gases that boiled away. Lots of carbon dioxide, oxygen, and sulfur compounds. In outer space, even the most trivial events are undoubtedly more important on the grand scale than whatever asinine behavior some pop star engages in. This past week offered stargazers two unique events, one of which we’ve never seen before. That would be the video above, which features the first recorded time a planet’s moon has eclipsed another, via NASA. And the second video, seen below, is of a meteor exploding, thanks to Michael Chung. 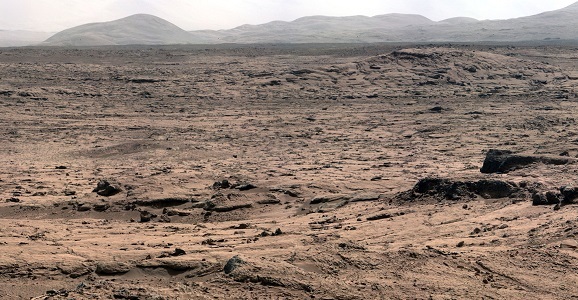 Most of the images that come from the Mars rover Curiosity are of rocks and the landscape of the Martian surface. A few weeks ago, NASA turned the rover’s Mastcam instrument up to the sky at a point when extra energy consumption was minimal and it was feasible to catch both of the Red Planet’s moons, the larger Phobos and the smaller Deimos, at the same time.